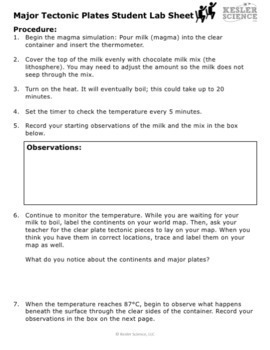 Students will label the continents on their world map, then students will create a simulation using milk, chocolate mix, and heat to show how convection currents cause tectonic plates to shift and rise. 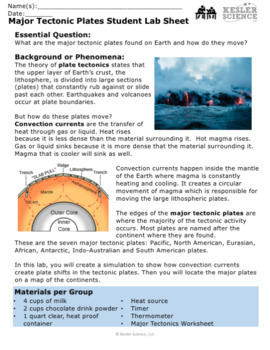 This could be used as a demo if cost of materials is a factor. 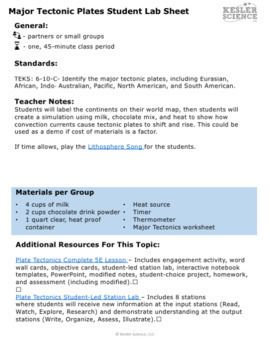 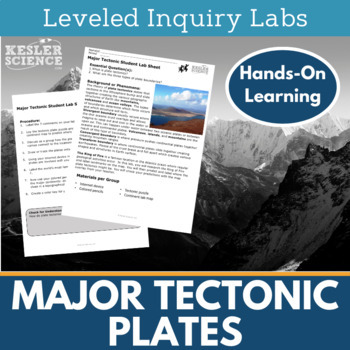 The product contains three complete labs that are differentiated for all of your students.